Curl Curl, locally known as ‘Curly’ is a relaxed beachside suburb located just 18 km north-east of the Sydney CBD and accessed by car or local and express bus transport. Curl Curl Lagoon divides South Curl Curl from North Curl Curl and runs into the ocean at Curl Curl Beach, which is a top local surf spot and fishing mecca atop of headland with its connecting boardwalk showcasing views up the beach to Dee Why headland walking track and tidal rock pool which is a photographer’s delight during large swells. The beachside reserve with its stretch of sand dunes and intertwined walkways is home to a dedicated dog park where pets can run freely and wallow in the lagoons shallow water. Adjacent is John Fisher Park, the heart of sporting action including netball and soccer fields, bowls club, rugby league, cricket and baseball grounds. 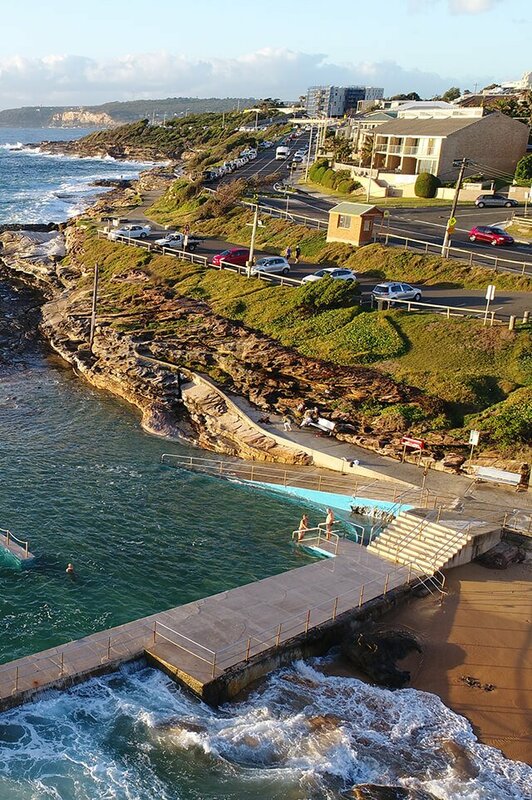 Curl Curl is a locals-only destination, as the majority of folks tend to gather in neighbouring Dee Why or Manly for their beachside experience. Almost all properties in Curl Curl are freestanding houses, from weatherboard cottages to headland homes with views. The primary demographic being predominantly young professionals or established and young families. Curl Curl is within a 15-minute drive to the local Northern Beaches Hospital located in Frenchs Forest with a 45-minute bus ride to a selection of Sydney’s Universities in the CBD. The government school catchment zone is Curl Curl North Public School with NBSC campuses in North Curl Curl known as Manly Selective and a Freshwater Senior Campus. Stewart House is located across the road from South Curl Curl beach and is a specialised school that provides students with an opportunity for a break from their current circumstances. Nearby independent schools include St Augustine’s College (for boys) in Brookvale or St Luke’s Grammar School in Dee Why. Do you need a Buyers Agent who can assist you to purchase a property in Curl Curl? Why do you need a buyers agent? We gain access to properties that are not on the real estate forums removing competition, we have a team of past valuers and agents, we are experienced negotiators who also manage your contract process to alleviate the stress and remove the emotion.